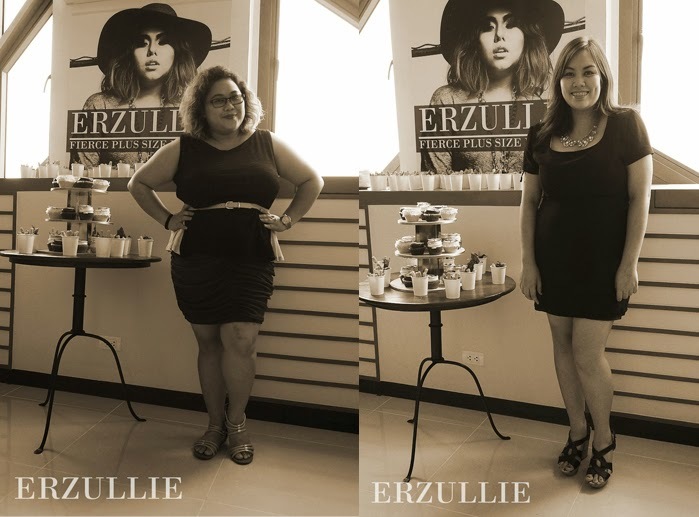 We would like to thank all of the Erzulliestas that registered for the ERZULLIE PLUS SIZE FASHION DASH happening this November 29, 2014, Saturday 3PM-4PM at the Erzullie Showroom, Eastwood City, Quezon City. Sent you an en email already, ladies! Check it! It’s the last week of Erzullie’s Anniversary month. Here’s the last set of the plus size editorial: “For the Love of Erzullie” IV. Hope you girls love it as much as we do! 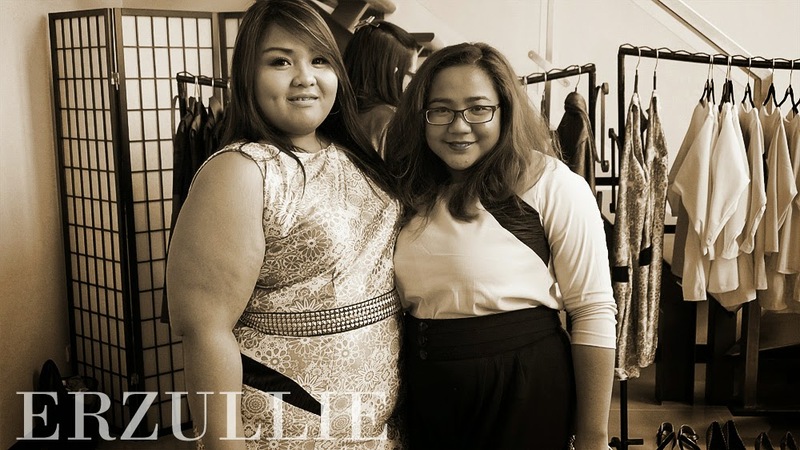 In her interview, “Changing Chubbly”, plus size designer, Chami Viray, shares how making the brand Chubbly, gives her an outlet to get inspired and creative. Get inspired ladies! Sometimes chasing your dreams, while having the stress of a day-job can be a great outlet for stress release. 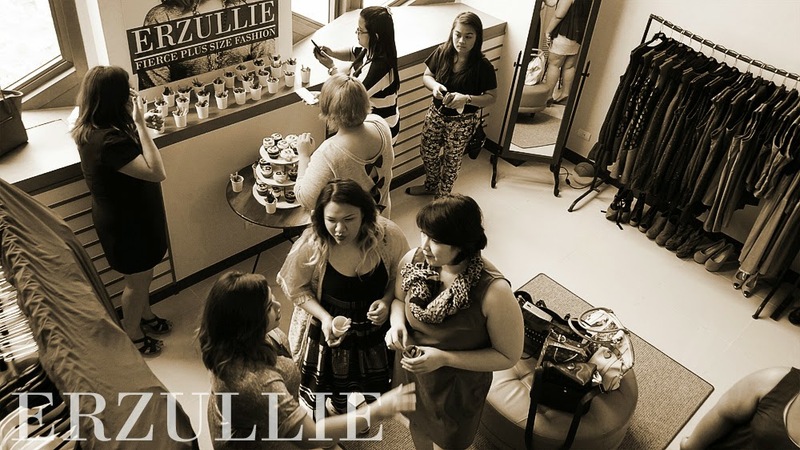 PLUS SIZE EVENT: ERZULLIE PLUS SIZE FASHION DASH THIS SATURDAY! So excited to treat 4 (or 5) Erzulliestas to this awesome style treat this Saturday, November 29, 2014 4PM-5PM! These ladies will be given an opportunity to grab as many as they can under 4 seconds all for only PHP 400! So excited! 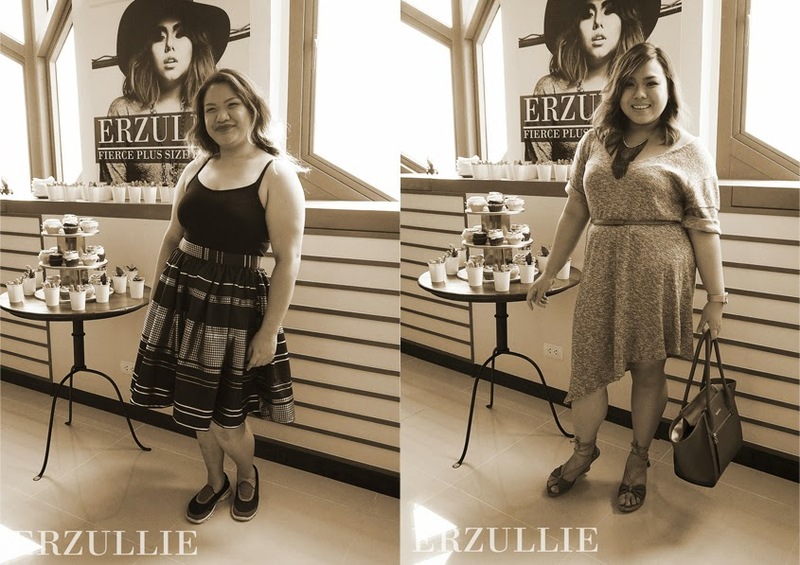 See you at the Erzullie Plus Size Fashion Dash ladies! Because a win is a win, Erzulliesta. Even big win is composed of smaller ones. 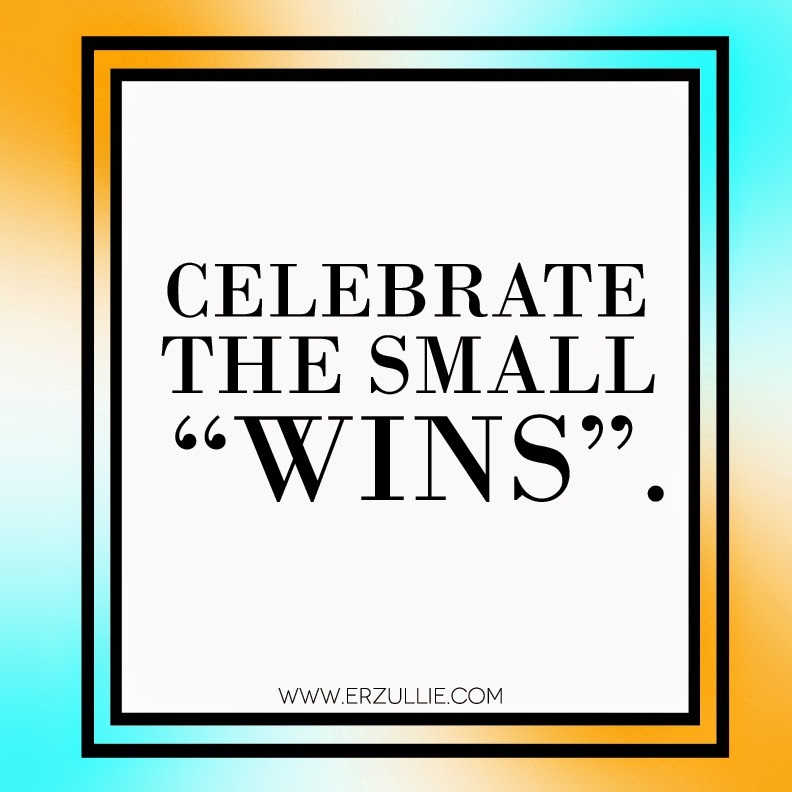 So celebrate even the small things, because it only means bigger things are about to come. 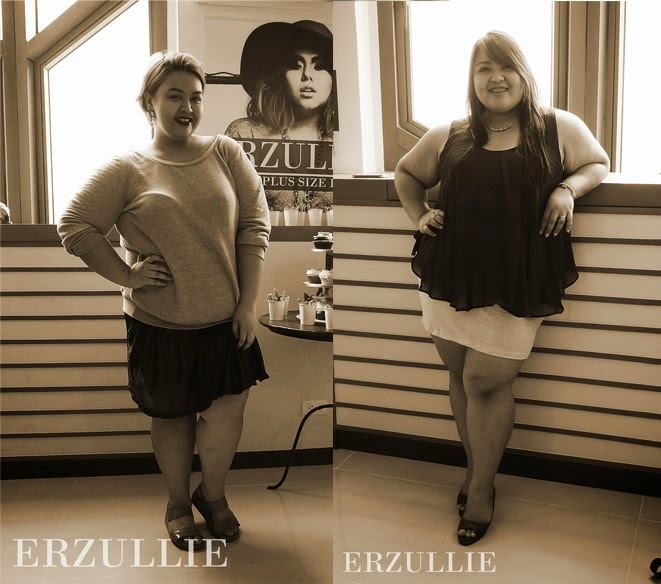 PLUS SIZE FASHION: 5 ERZULLIESTA STYLE RULES | FIERCE UP YOUR CURVES! Being a fierce plus size woman is a 24/7 thing to all Erzulliestas. But of course, it just comes naturally --- you ladies are just “it”! 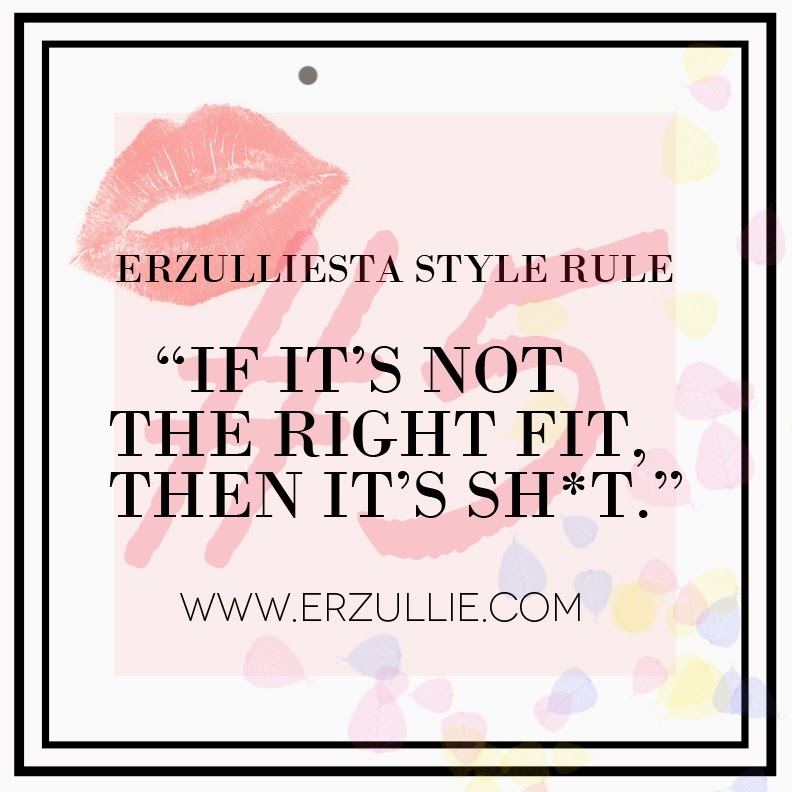 After working with you ladies for more than 4 years, I was able to narrow down 5 common Erzulliesta style rules from our empowered curvy culture. Check them out! With great self-love, comes a great love affair. This is what I have learned from you, ladies. As such, I have always noticed how Erzulliestas love to moisturize and take care of their skin! May it be a nice spa treatment down to the personal home-care of body scrub and lotion ritual. For an Erzulliesta, her skin is her greatest outfit. I rarely see an Erzulliesta with bad hair. Should it be looking bad, most of the time, it was because it was intentional. After all, the brand has been known for some wild hairstyles. But nonetheless, majority of the conversations during styling sessions is how the Erzulliesta “woke up like that”. For her, the “hair is truly the crowning glory” of all of you Goddesses. 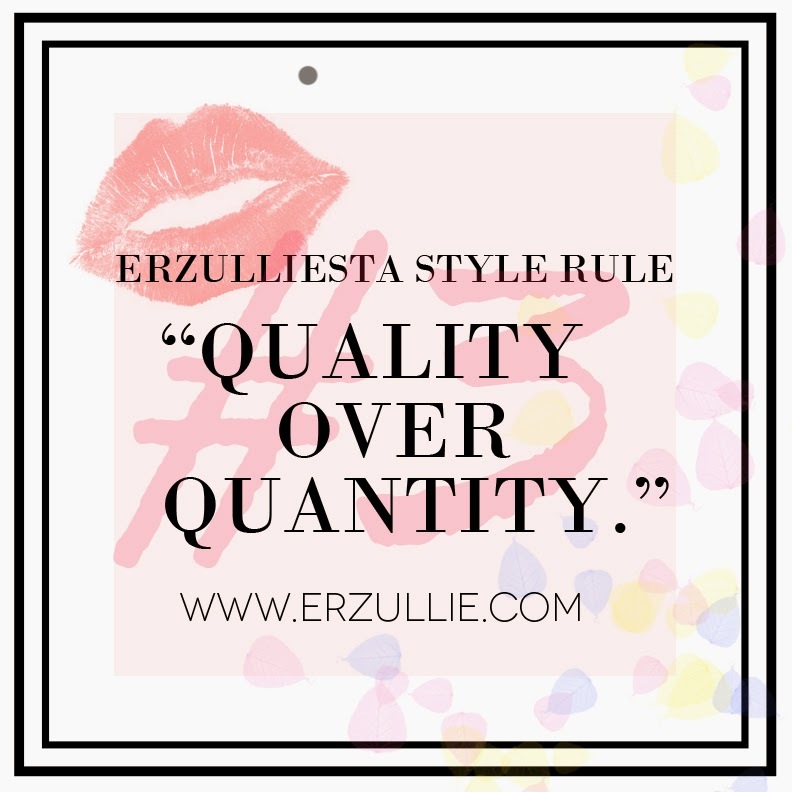 I love how Erzulliestas have high standards when it comes to the things they buy. That is why we always make sure that every item is up to their taste! But what I love about Erzulliestas the most is how they think about their purchases in the end of every session. They always think about the closet mileage of each piece and even make sure that every thread is in place. 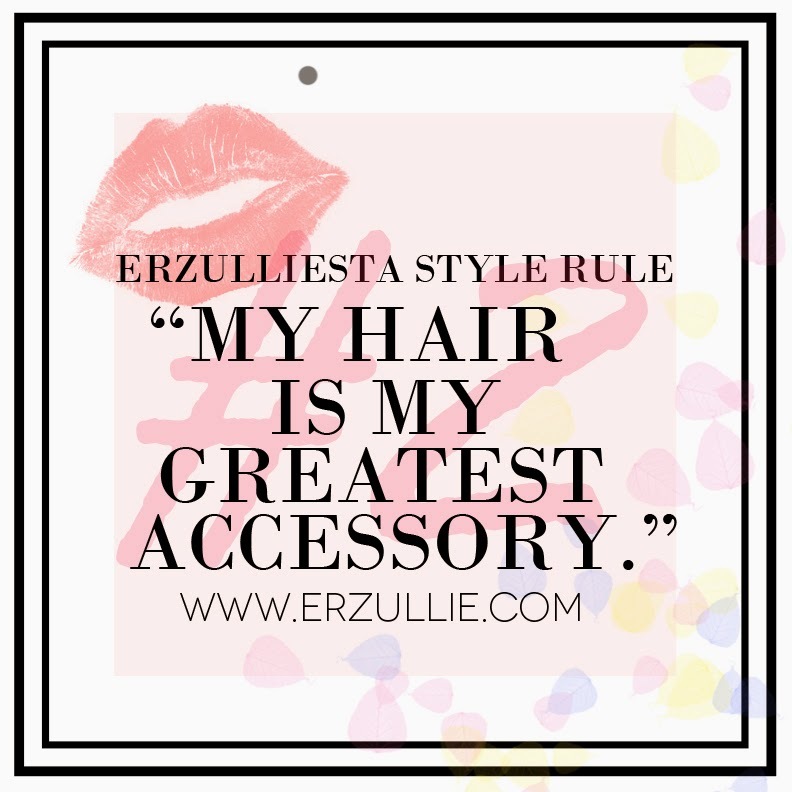 Erzulliestas have always stood out not only because of their confidence and charisma, but because their style is neither trendy nor normal. 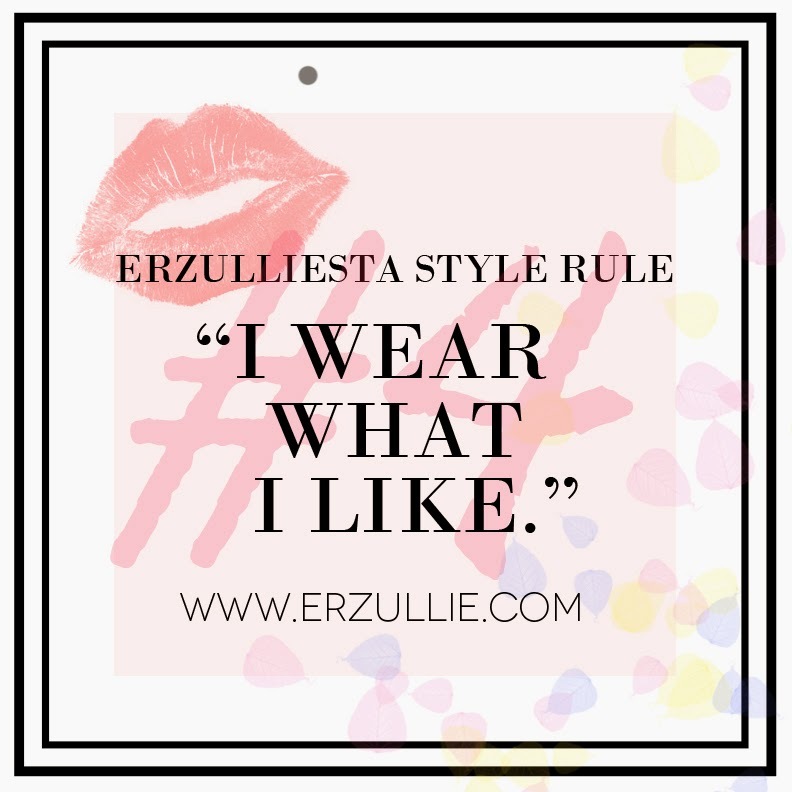 There is always something about each Erzulliesta’s personal style that makes you question --- “what is it about her?” Of course, it helps when you are wearing Erzullie (ahem-ahem). Pardon the language but this I have learned oh-so-well form you ladies over the years. I love how Erzulliestas are more obsessed about finding the right fit than obsessing about what size they are in already. You ladies understand that size ultimately depends on the design and fabric of the item. It is this exquisite rebellion that really intrigues me and fall in love with the culture of empowered plus size women even more. Can’t believe it’s the 3rd week of Erzullie’s Anniversary Month! And to mark it, here is the 3rd set of the “For The Love of Erzullie” editorial. Just because the holiday is cold doesn’t mean the sun doesn’t shine on the tropics! Check out this “Sunny Disposition” #OOTD. It is made up of the Erzullie Holiday 2014 dress and Pre-Holiday 2014 coat. 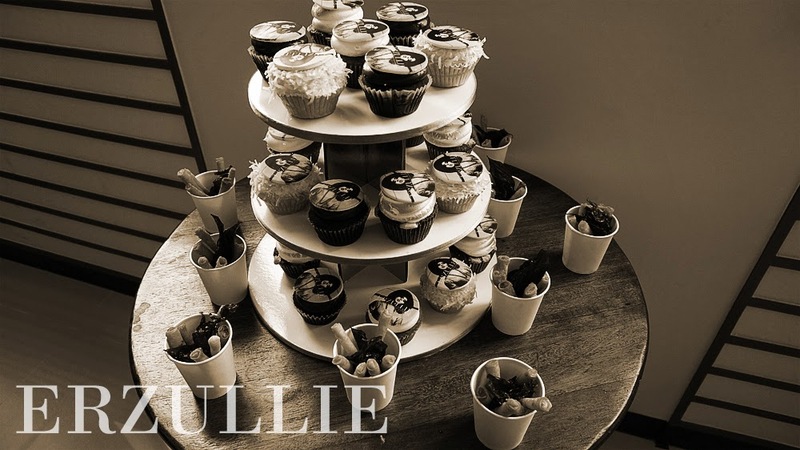 To wrap up our Erzullie Fierce Curves event, Manik Mag Founder, Selina Weekes, sent us this video for the Erzulliestas. Thank you so much, Manik Mag, for collaborating with us in this event. We really appreciate it. 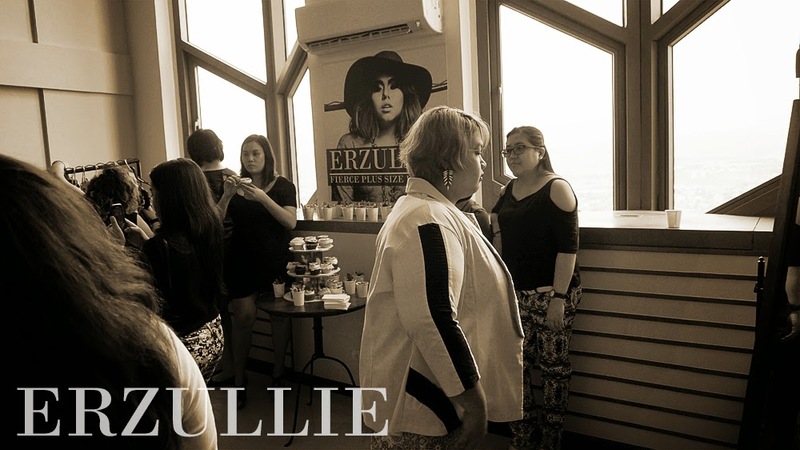 Last November 15, 2014, Erzulliestas gathered at the Erzullie Showroom, Legrand II, Eastwood City, Quezon City for the celebration of Erzullie’s 4th year anniversary. The ladies were treated with a lot of fashion as well as light food and drinks courtesy of one of the top plus size fashion lines in the Philippines. The event opened with a thank you note from the owners of the brand, delivered by Aries De Guzman. Erzullie turned 4 this month and it was all because of the Erzulliestas that pushed them to where they are right now. Afterwards, attendees also had the privilege to see the Corporate 2015 collection, as it was presented by the season’s designer, Aries. 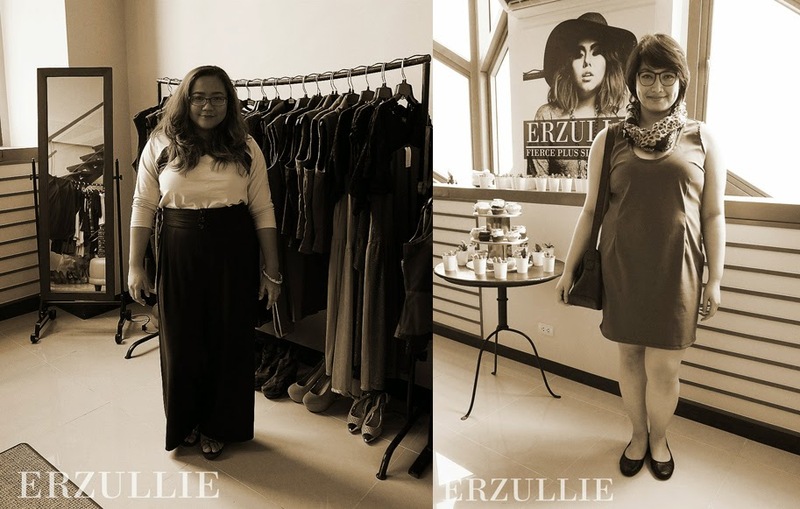 According to her, the collection is all about fashion experimentation as she deviated from her usual inspiration routes --- Erzulliesta personal styles and journey as a plus size woman. The designer wanted to experiment on fabric texture constrasts as well as clean silhouettes, somewhat reminiscent of the theme of the Corporate 2013 collection of the brand, but with more color. 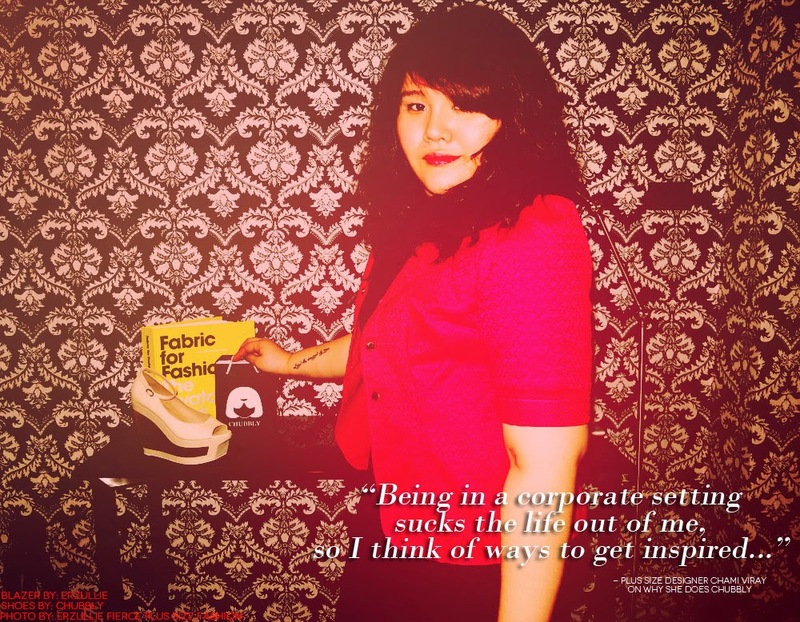 She wanted to aspire for a sense of “high corporate plus size fashion”, something that to her, she would like to place on an editorial for a high-end magazine. After the presentation, Erzulliestas had a blast shopping around --- from tops, skirts, pants and blazers, Erzulliestas raided the showroom and all went home both socially and stylishly satisfied. Check out more of the event photos below! ERZULLIE ICON, LOREN MONARES, WEARING THE CORPORATE 2015 BLAZER. ERZULLIESTA EM-EM (AT THE BACK) WEARING THE CORPORATE 2015 DRESS. 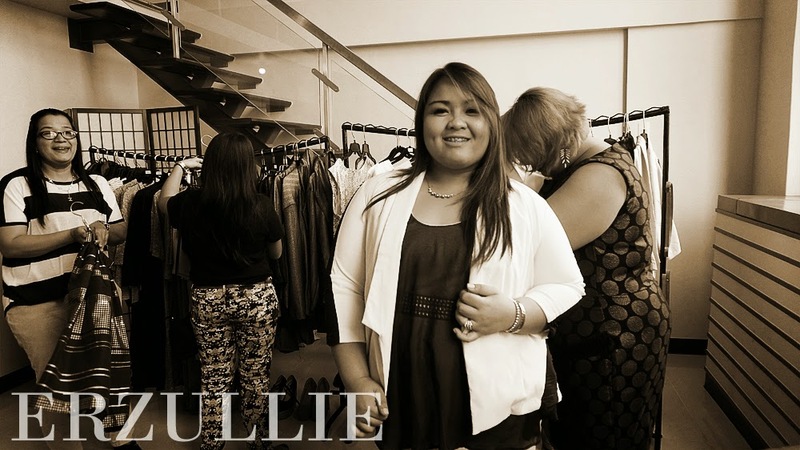 IN THE MIDDLE OF THE BEAUTIFUL SHOPPING CHAOS, ERZULLIE ICON AND PLUS SIZE MODEL, KAT LOPEZ, TRYING ON HER NEXT "GIG-ABLE" OUTFIT, THE ERZULLIE DRESS. ERZULLIESTA MACY SANTOS WITH HER NIECE, SHOPPING AROUND, WHILE ERZULLIE DESIGNER, ARIES DE GUZMAN ASSISTS, ERZULLIESTA CRIS. ‘Til the next event, Erzulliestas! 3 words that every Erzulliesta should live by. 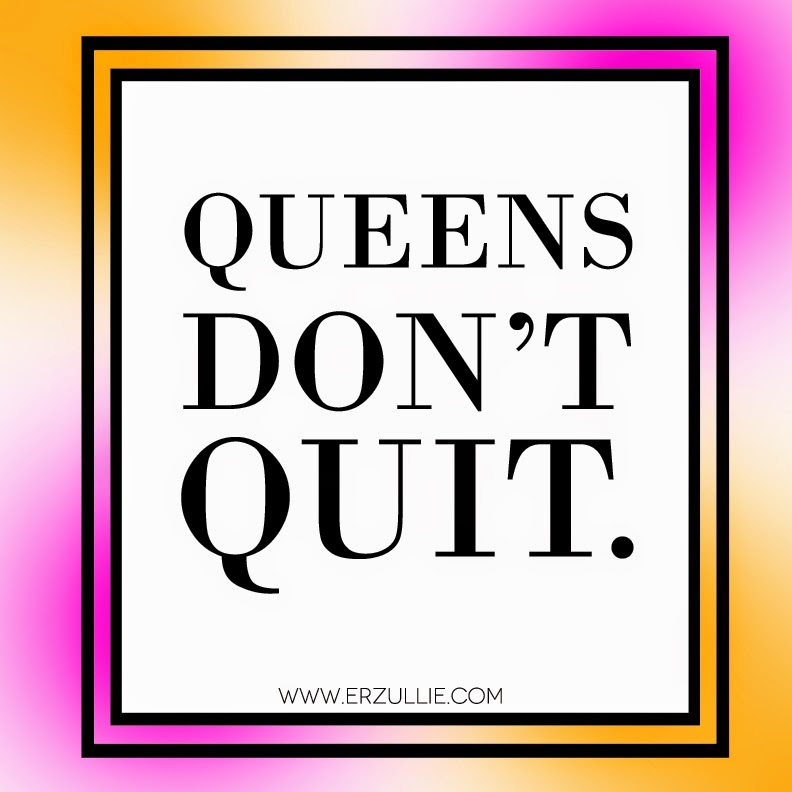 Queens don’t quit. We aim, we focus and we work hard to get what we want in life. So keep at it, ladies. Worst thing that can happen? Another great opportunity opens up on the way and you get something way better than you thought you could have. 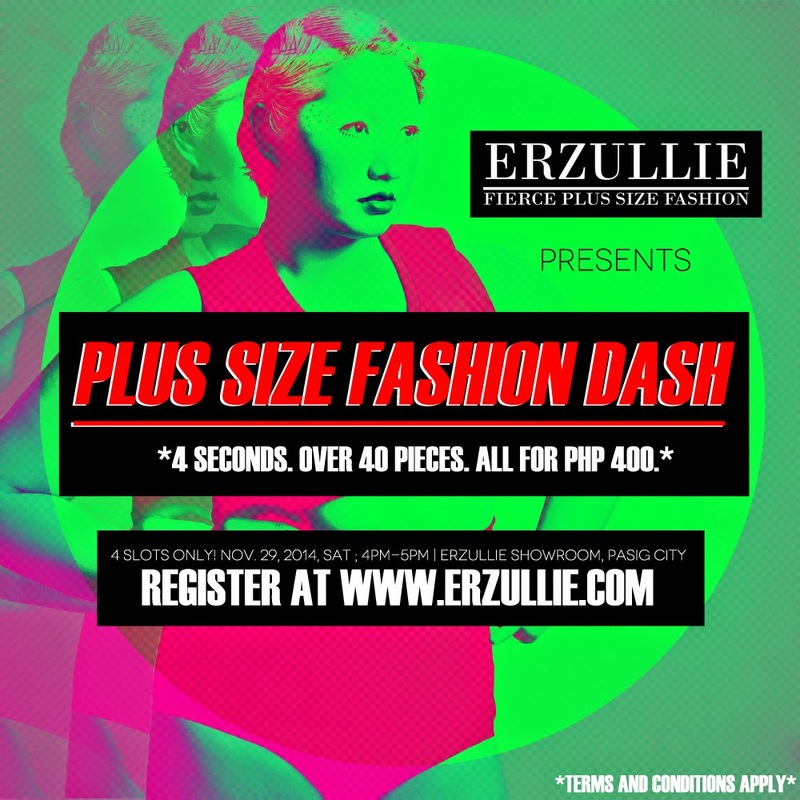 PLUS SIZE EVENT: ERZULLIE’S PLUS SIZE FASHION DASH! | 4 SECONDS. OVER 40 ITEMS. ALL FOR PHP 400! 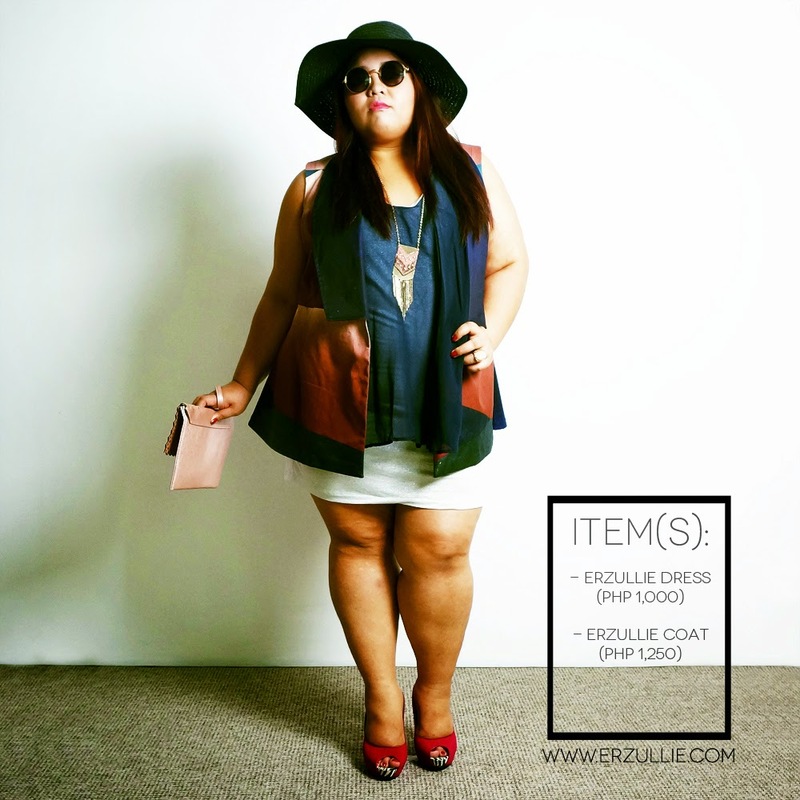 JOIN ERZULLIE’S PLUS SIZE FASHION DASH*! Grab as many unique plus size fashion styles as you can within 4 seconds and get ALL OF THEM for only Php 400! Over 40 fierce plus size pieces to grab! This event is happening on November 29, 2014, Saturday, 4pm-5pm at the Erzullie Showroom, Legrand II, Eastwood City, Quezon City. #1 Only participants with full requirements will be able to join. With that said, first to register, first to participate. Non-Refundable payment of registration fee (PHP 400) must be deposited before the day of the event. Instructions to be given via email. #2 Styles and Sizes vary in the event. Items are all-out already. 4 lucky girls will be given 1 minute to look around the showroom to check out the items available before the 4-second dash rings in. Fitting/touching are not allowed. Participants can grab as many individual styles as they can and must be inside the designated safe zone before the 4 seconds end. (A) Pay all of the items grabbed for Php 400/piece. (B) Return all of the items to the register. 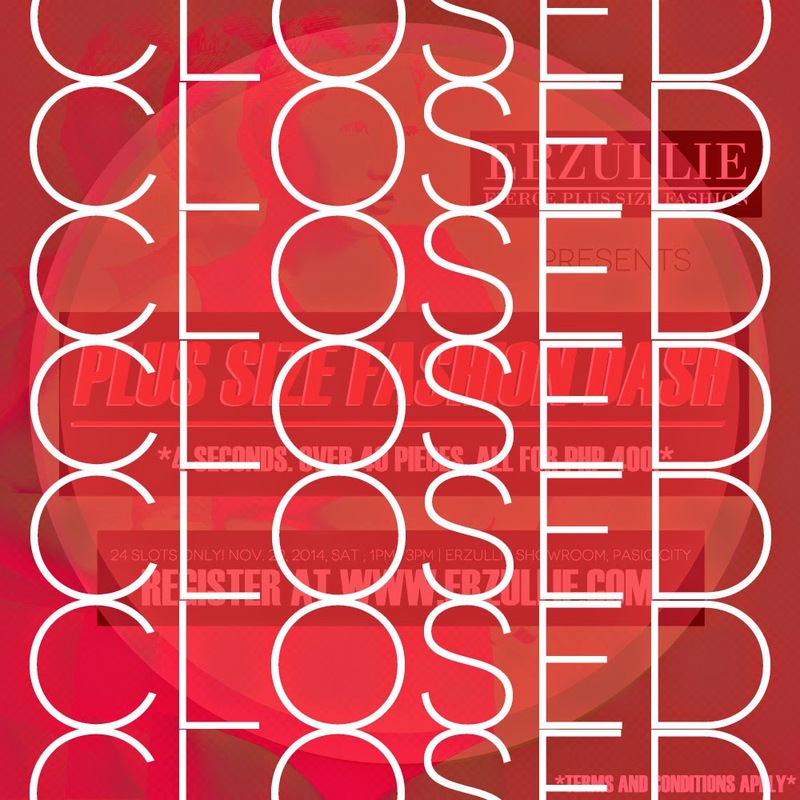 #3 All transactions before and during the event in the Erzullie Showroom are CASH BASIS ONLY. #4 Erzullie is not reliable for what happens to the participant before/during/after the event. All sales/items/registration fees are final after the event. No duplicated style, return or exchanges in style/size in any form. All duplicated styles will be removed at the register. 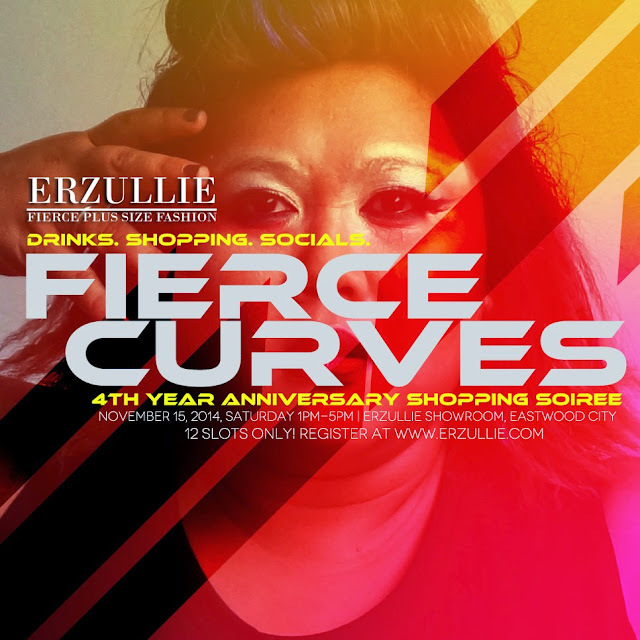 PLUS SIZE EVENT: ERZULLIE FIERCE CURVES | 4TH YEAR ANNIVERSARY SHOPPING SOIREE TODAY! See you later, Erzulliestas! 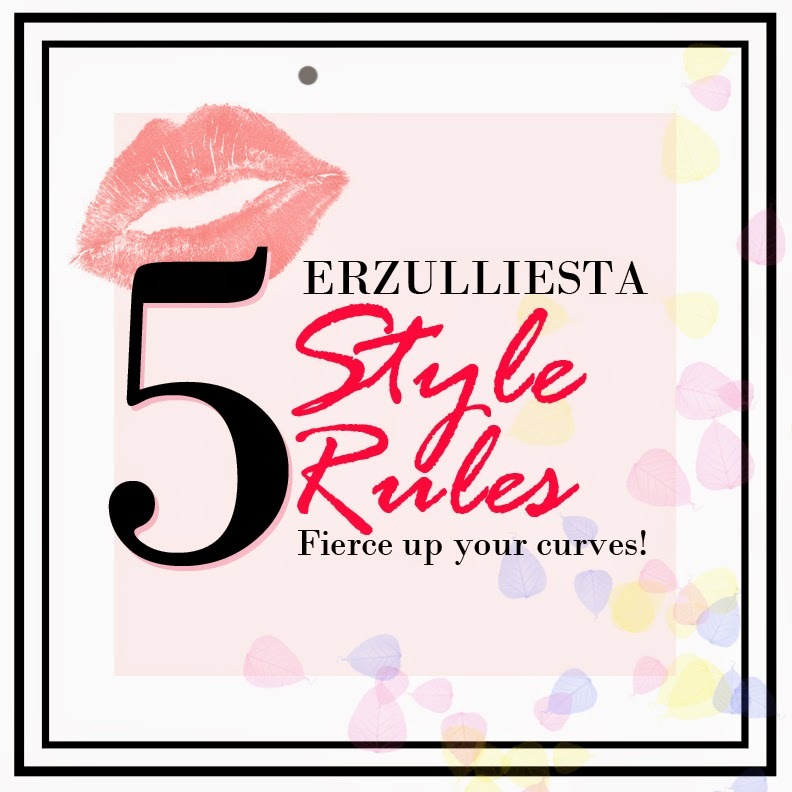 Make sure that you dress in your fiercest Erzullie outfit and rock those curves! We are going to have a blast representing Philippine fashion at Manik Mag! The Erzullie Fierce Curves event at the Erzullie Showroom, Legrand II, Eastwood City, Quezon City is happening on November 15, 2014, 1PM-5PM. We will be giving a sneak shop opportunity for the Corporate 2015 collection, 50% off on selected items and of course, some light food and drinks. PLUS SIZE EVENT: ERZULLIE FIERCE CURVES | 4TH YEAR ANNIVERSARY SHOPPING SOIREE TOMORROW! 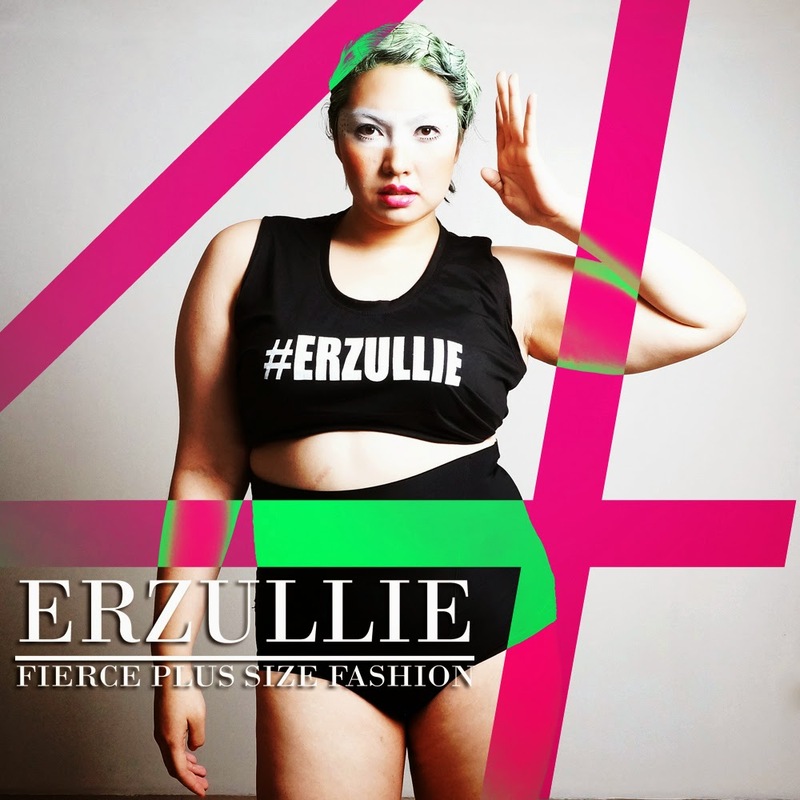 So excited to see all of you Erzulliestas at the Erzullie Fierce Curves event at the Erzullie Showroom, Legrand II, Eastwood City, Quezon City on November 15, 2014, 1PM-5PM! We will be giving a sneak shop opportunity for the Corporate 2015 collection, 50% off on selected items and of course, some light food and drinks. Did we mention that this event was also made fiercer by Manik Mag? So proud to have the honor of being covered by the magazine for the event. So better FIERCE UP in your outfits, Erzulliestas! We need to show how we wear our curves here in our islands. Being the creator of a top digital source for plus size fashion news is a dream shared by many, but only a few can actually do. Luckily, a brave woman came forward to do it all for us. 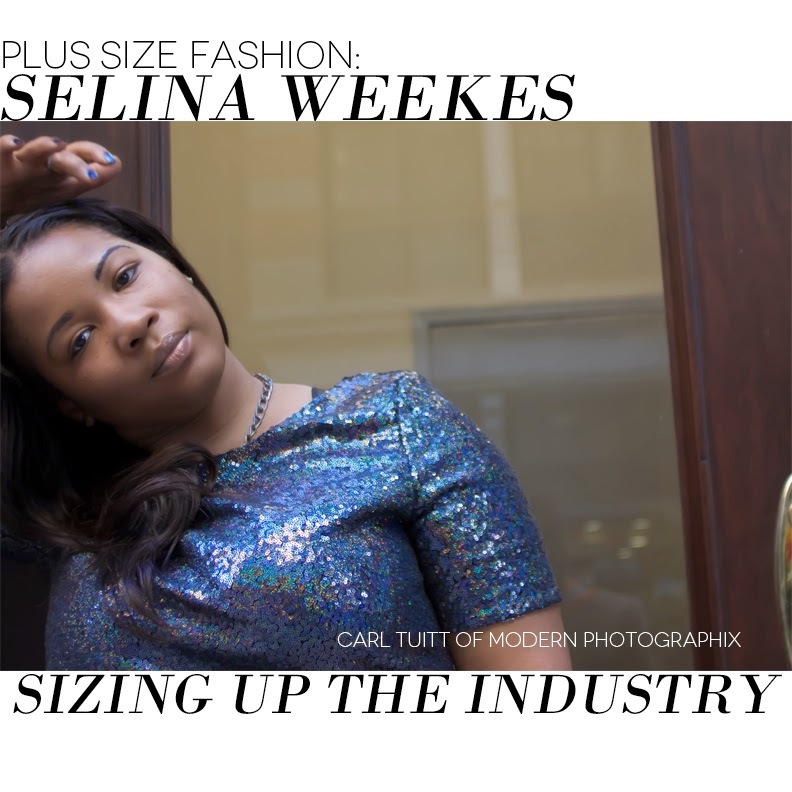 Selina Weekes, editor-in-chief and founder of Manik Mag, currently one of the top global plus size fashion mavens, opens up and shares her thoughts on her magazine, the industry and of course, Erzullie. #1 So how did you come about with the idea for Manik Mag? Writing for a magazine and eventually having a magazine is something I've always wanted to do. I discovered life through reading and writing and I've always been a fiend for fashion and style. In my sophomore year of college I finally decided that I would begin research and cultivating content for a magazine. One day, I was sitting on my cousin's couch, reading Bazaar Magazine. I walked out to go to the bathroom, and returned to the living room with her holding the magazine in her hand asking me what the magazine was about. I told her it’s a fashion and style mag- she flipped through the pages and said, "This ain't for big girls!". At that moment I knew that I was going to create a magazine for plus size women. In naming the magazine, I thought about all the things that I am- everything in my life that drives me; and that’s how and the name Manik Mag was birth. Most people associate Manik with negative connotations. You know it's most used when referring to people as manic depressants. However, “Manik” means having unreasonable enthusiasm. It just fit. A lot of people always look for plus size women to be complacent, lazy, uncomfortable, depressed. But we are vibrant and highly enthused about life and for those who are not--- through Manik we aim to inspire women to be. #2 The magazine only started 2010, but it has quickly developed strong readership. What’s the secret? The Manik Mag reader is a hautie who is worldly and fashionable and pays attention to socially relevant concerns that impact women. She takes pride in herself, her body, her intellect and understands she sets her own standards. As such she needs a magazine of her level. That is why we strive to be so dynamic. We focus on both the fantasy of fashion and the real life of every day women. We deliver- not just fashion, but beauty, health, and pop culture content. We push socially relevant content and we're highly engaging with our readers/followers. Our social media posts aren't just filled with ads or marketing posts for other brands. We actually build relationships with our readers and followers through on and offline interactions. #3 Business wise, what’s the story about the magazine itself? Manik Mag started in January of 2010. We had a bunch of problems with our first website that was financially draining for me. After a slew of tech issues and having the website crash a few times, I got fed up and decided to take the website down for a while. I had to decide at what cost was I willing to be successful... if Manik was something that I really wanted to do no matter what. Throughout Manik's existence I've always had a great team behind me who have inspired me and who have driven Manik forward. When I first created Manik it was just me. I had no models. No writers. Once I began taking crawling- taking Manik from an idea to a project- to a full fledge business, I've been blessed to have some of the most creative people to help in the evolution of Manik Mag. Jason Thomas- our senior photographer has been extremely influential to Manik's aesthetic his eye for photography is one that is unmatched. Raymond Jones our Promotions Manager has been key to Manik touching so many people's lives. His ability to connect with people both on and offline has aided in extending Manik's visibility from the U.S. to the U.K.
More recently, we've name two editors Brandee Joyner on the West Coast and Jamila Pierre on the East Coast who have split my position in the role of Editor-In-Chief. I work very closely with Brandee and Jamila in setting forth Manik's tone. For me, I'm totally devoted to our visual and written content. I now hold the title as Editorial Director and I develop the editorial calendar. I establish and set the short and long-term goals of our editorials. Write and edit articles; develop written, video, and social media content. In addition to these responsibilities, I also develop concepts for photo shoots. 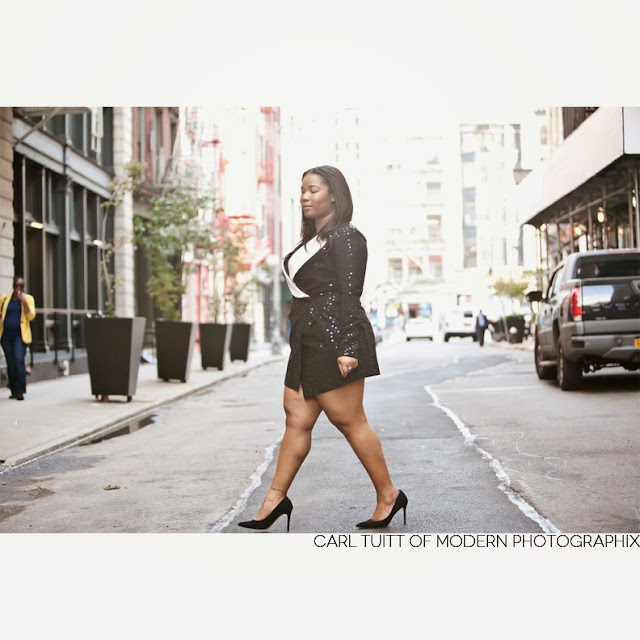 #4 Speaking of business, what are your thoughts about the global plus size fashion industry? I think the plus size fashion industry in general has a lot more growing to do. We're still lacking fashionable options from major retail brands. More importantly, the industry is lacking collaborations. There's no reason why there shouldn't be more big brand retailers collaborating with indie-designers. Right now, for me, there aren't enough options. Much like any woman. Plus size women live fashionable lifestyles. We are preppy. We are grunge. We are urban. We are elegant. We are chic. We are sporty. We are eccentric. The plus size fashion market is a billion dollar industry. That's just the surface. Imagine if we were really given all options to communicate our style. If there is one thing that I would improve on it would be to change the marketing of plus size fashion. There are so many times where you see a dress offered in plus sizing, but the brand doesn't hire a plus model for the campaign- and so the idea of buying into the piece becomes more of a challenge to sell. Plus size women want to be able to see themselves wearing a particular fashion or style. That's what makes plus size bloggers more important than any other type of blogger. Plus Size bloggers cater to a market that is underrepresented and mis-marketed. #5 In relation to plus size fashion, what are your thoughts of the current global plus size modeling industry? I do believe there is a growing acceptance for plus fashion modeling because there is a slight demand for plus size models in ads and on television. However it is nowhere near what it should be with 75% of women in the United States alone wearing a size 14 or larger. I can't say that I have any favorite international plus models. However, I can say that love Hayley Hasselhoff, Suzette Michelle, Jeannie Ferguson, and Jenni Runk. All of these models- serve on the runway and in photo shoots. They're gorgeous and intelligent. I respect that in models. #6 From global to our Islands, any thoughts on Erzullie? I was actually introduced to the brand by way of our Promotions Manager, Raymond Jones. He told me that I should check you hauties out. I did- and I've been keeping an eye on your brand ever since. There are a few pieces that I would love to shoot for an editorial in Manik including the basic shift dress. I love the simplicity of it and the chiffon hem which gives it such a feminine appeal. 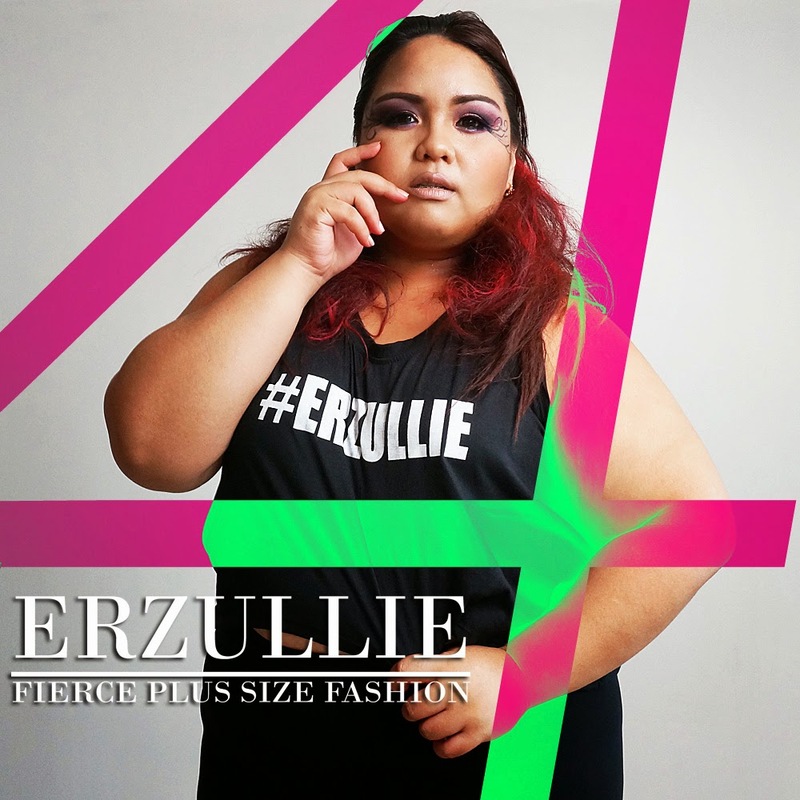 I believe the Erzullie has the potential to be a leading plus size fashion brand with consistency, innovative designs, and with the right team. It's not enough to have great designs- you need great people working with you, connecting you with more people who will help extend your brand's visibility.